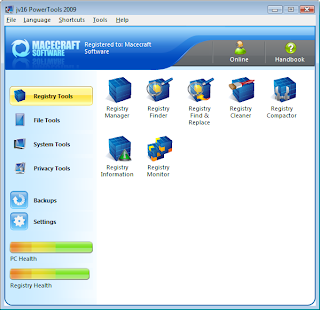 JV16 PowerTools 2009 is a computer system program that helps you to clean, speed up, and improve system performance. It costs $29.95 US dollars, a German computer magazine - Computer Bild offers free license and download this software. You can go to this promotion page, this is a German language site but easy to do. Just click "download" button, it contains application and product key. That is all you have to do.